Should You Repair Your Old Refrigerator, Or Buy New? Debating whether you should fix your old refrigerator, or shell out some cash to buy a new one? There have been some major changes and improvements to refrigerators in the last 20 years, and it can be difficult to decide if it’s worth fixing the one that you have. Still have a harvest gold, or avocado green refrigerator? Well it might be time to replace it. Here are some things to consider before you decided whether to repair or replace. The first thing that you should do is assess what is wrong with the one that you have. Is it not cooling, getting too cold, making funny noises, or just falling apart? If it is something simple, or you are a DIYer that likes to fix things, then a good site to go to is partsdr.com a site that offers repair help and sells appliance parts. If you are not sure what is wrong with your refrigerator, or you don’t feel comfortable working on things, then you should call a professional to take a look at it. Most appliance repair companies charge $50-$100 to come out to your house and diagnose what is wrong with your refrigerator. In order to know how much money is worth sticking into your old refrigerator, you will need to know how much it will cost to replace it. Take measurements from your old refrigerator and the opening where the refrigerator goes into (height, width, and depth). Go shopping at your local appliance stores and price out how much a comparable model will cost to replace the one that you have. Make sure to include the price of delivery and taking away the old one, unless you have the ability to do that yourself. If you have an older refrigerator and you are wondering whether it might be worth while to upgrade to a new one for the energy savings, then head over to engergystar.gov and check out their refrigerator energy savings calculator. This handy calculator lets you enter in your refrigerator style, age, and how much you pay for electricity to estimate the savings of a new refrigerator. 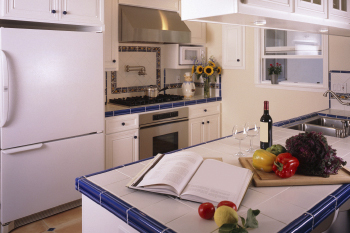 You might be surprised how much you can save if you have an older model refrigerator. You know your refrigerator better than anyone else. Has it been a lemon from the get go with constant repairs? Well, then it might be time to replace it. But if it has held up well, and you have never had any other issues with it, then it is probably a good idea to fix it. I am sure you have heard the saying, “they don’t make them like they used to” before. That saying definitely applies to appliances. Most new appliances are made with thinner metal and thinner plastic, and they don’t seem to hold up long term as well as the older appliances. Article written by Ryan Anderson, CEO and Co-Founder of PartsDr.com an appliance parts retailer.